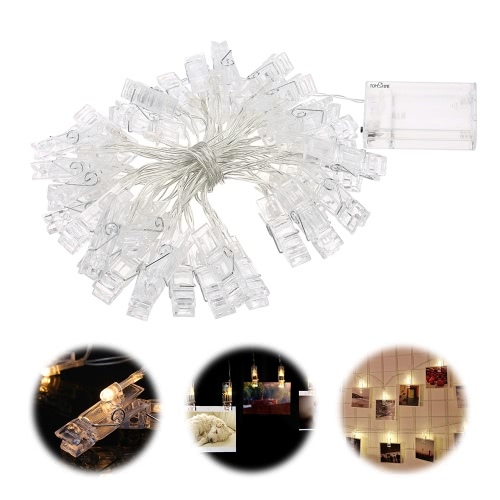 PERFECT DESIGN: designed with end-to-end connections, you can connect 2 strands at most to cover a large area. 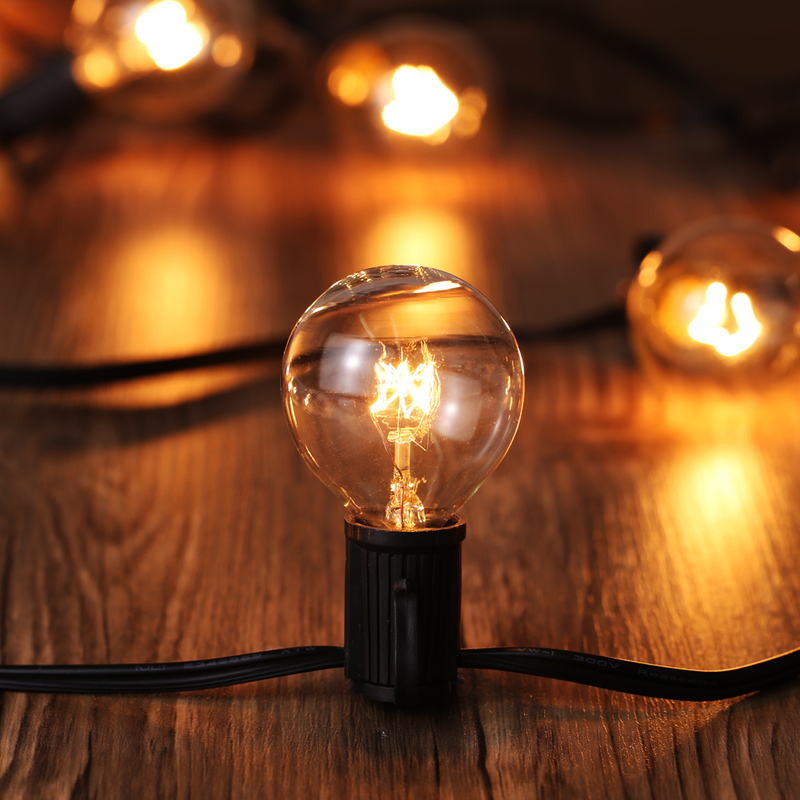 SAFE AND RELIABLE: built-in fuse wire ensures safety. 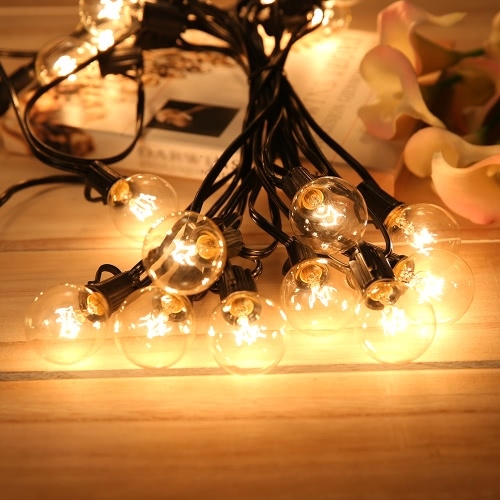 Even with broken or removed bulbs, the remaining bulbs will continue to light up. 2 MORE SPARES: providing 2 more spares in case of bulbs damaged during the long-distance transportation, very convenient and user-friendly. 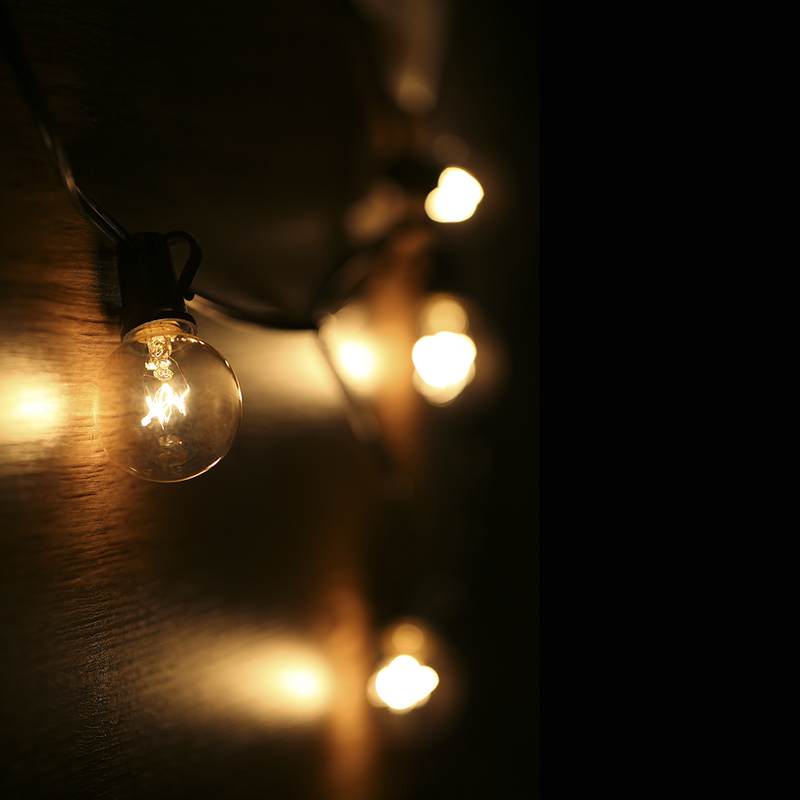 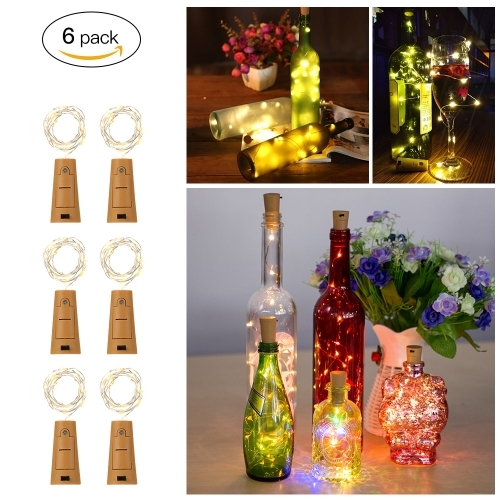 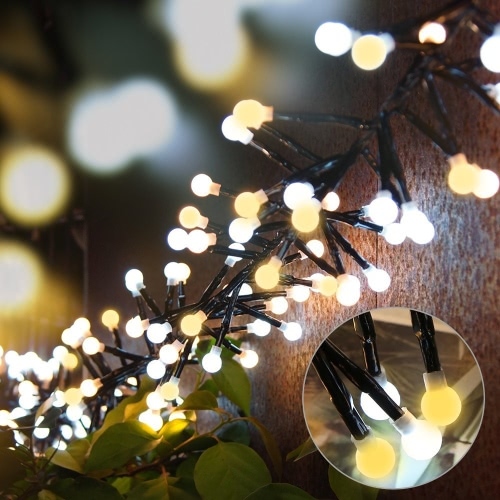 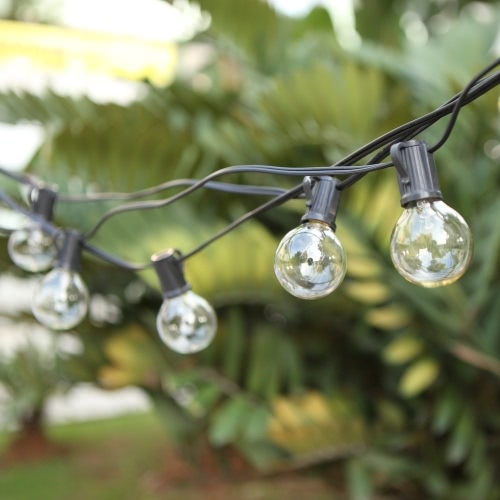 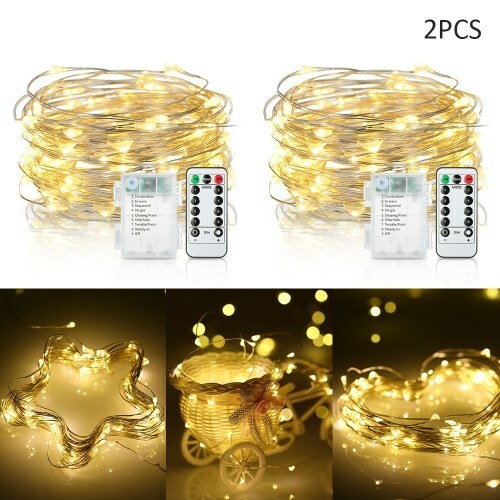 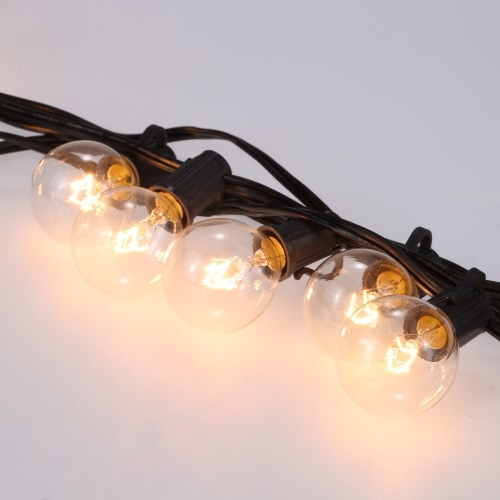 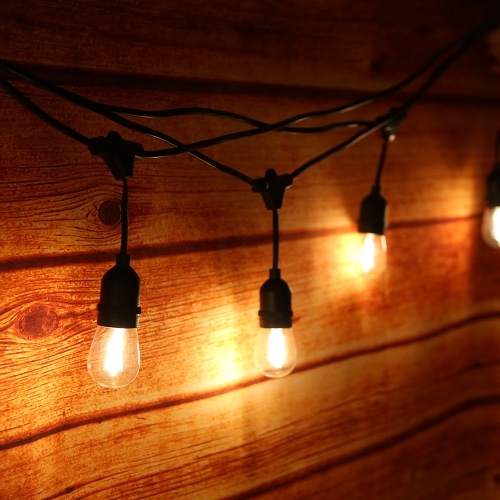 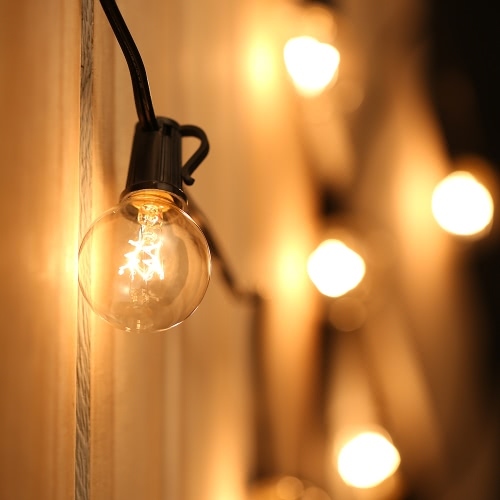 EASY INSTALLATION: total length: 27ft, bulb interval: 12in, easy to hang up the string lights wherever you want with clip on each bulb socket. 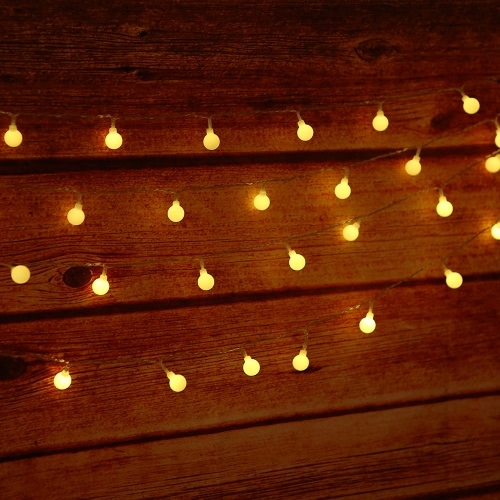 Please do not soak this item into water.